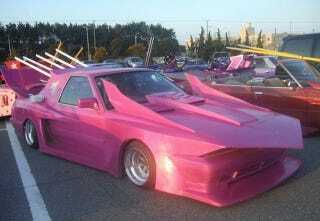 Here's a little exercise we picked up from JDM car-culture site Bosozoku Style. Examine this likely denizen of the famous Bosozoku gathering place at Shibaura, under Tokyo's Rainbow Bridge. What car gave its life so this Kaido racer would live?